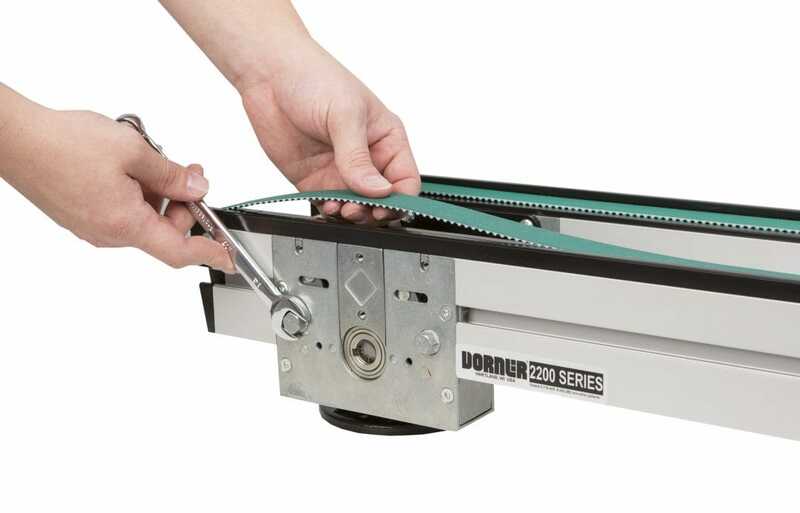 Dorner’s New 2200 Series Precision Move Pallet Systems feature the latest advancements in pallet traffic management. A fast belt change capability increases efficiency and reduces downtime in assembly automation processes. The top removal belt change method provides quick belt maintenance access without the need to remove the conveyor or surrounding automation components. The video above guides you through this process. We’re currently in the process of creating more service videos to guide you through your conveyor maintenance. All videos will be added to the Service Video Page.